Since CCP’s promotion for its premium e-sports event leaves something to be desired yet again, it is my pleasure to remind everybody that ATXII starts next Saturday. While I obviously will not share any crucial details from Pandemic Legion’s testing, it is time to give some ATXII updates. CCP’s test server Duality was opened to all tournament participants four weeks ago and it started out as a very bumpy ride. Pilots faced many different issues. Some players were not able to log into Duality because they were not subscribed when the initial mirror was done. Others were stuck in the warp tunnel after deathcloning to the training system and needed dev intervention to to get there. Duality’s build was mirrored from the live TQ Kronos 1.2 build. As there is no working launcher for Duality this made the transition harder for people that could not update their clients within those three or four days. Everything was fixed very fast though, and teams were able to set up the tournament area themselves. 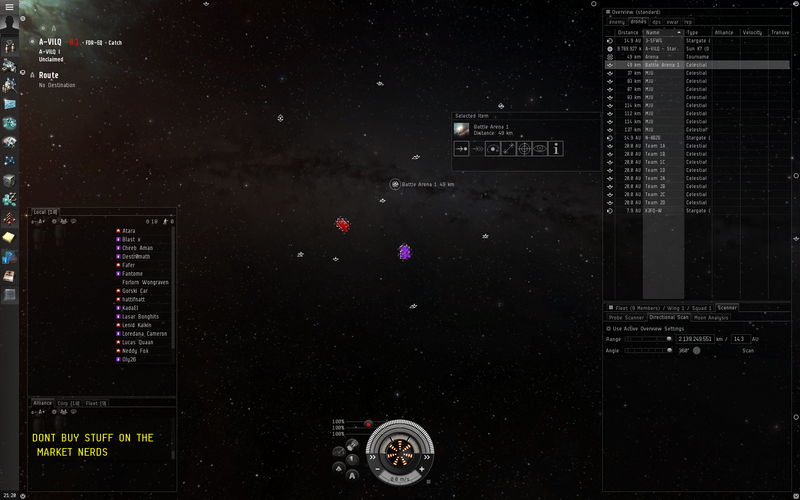 CCP devs set up the local warp beacons accordingly for each system. Unfortunately they could not deploy the tournament specific fixed MJU’s on Duality, they disappear after a lifetime of 48h and need to be set up again. I have never used or seen a MJU on TQ, so I spent some time understanding their mechanics and getting comfortable using them in combat situations. A small error will lead to a boundary violation using those deployables – I predict that CCP Veritas will have his fun this year again. As the days passed more and more players used Duality, progressively increasing lag. TiDi at 10%, module lag, hangars not loading… it was a real pain, but Pandemic Legion still tested to find the meta of this year’s AT. I burnt out modules or could not disable the MWD, overshooting my targets due to server behaviour. Our crew of tournament FC’s had to call off training for a few sessions – it was simply unplayable. Of course this was fixed as well, but it handicapped many teams for numerous days. Unfortunately I could not commit to early testing as often as I wanted to due to RL responsibilities. When I finally got most of these issues sorted I was able to dive into full tournament mode. Currently the Pandemic Legion team does a training session every day for at least two hours, often the USTZ crew takes over when the EUTZ guys start to log off. The schedule is rather harsh and has led to some heated debates and angry arguments, some might get leaked after ATXII. As far as CCP news is concerned, CCP Fozzie published the schedule for the upcoming Alliance Tournament XII. While the brackets were known for some time, teams can now schedule RL around their matches, which is more than welcome. 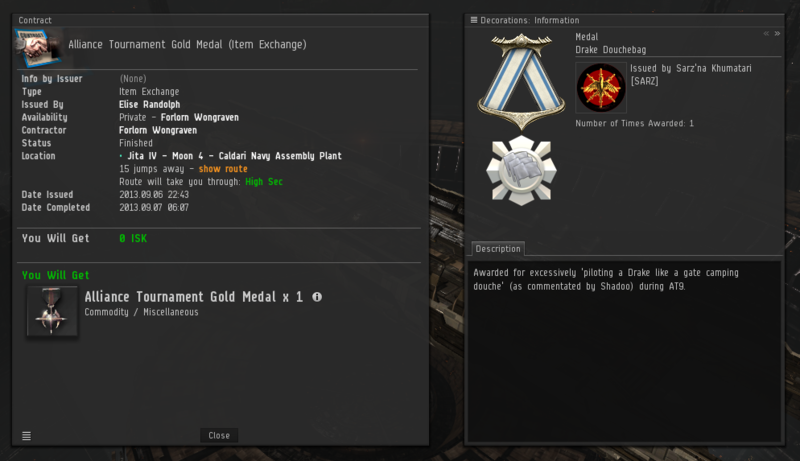 Also, CCP changed the distribution of prizes as another long devblog from CCP Fozzie revealed. Personally I think this is a step in the right direction, giving teams more chances to profit from tournament participation, as it used to be. I only dislike the Alliance Tournament Medal for every alliance member. In Pandemic Legion’s case we have ~50 tournament team members out of a ~2150 man alliance. Giving somebody a visible medal in the character sheet just because she/he was in the right alliance at the right time does not make any sense. The alliance CEO should be able to assign those medals, so only pilots in their respective teams get the bragging rights. No work – no glory!